The Two Bells pub has a low-key, not fancy, but comfortable feel and is regularly busy with diners during the lunch period (weâ€™ve never visited at other hours). It looks like it used to be two store fronts originally. 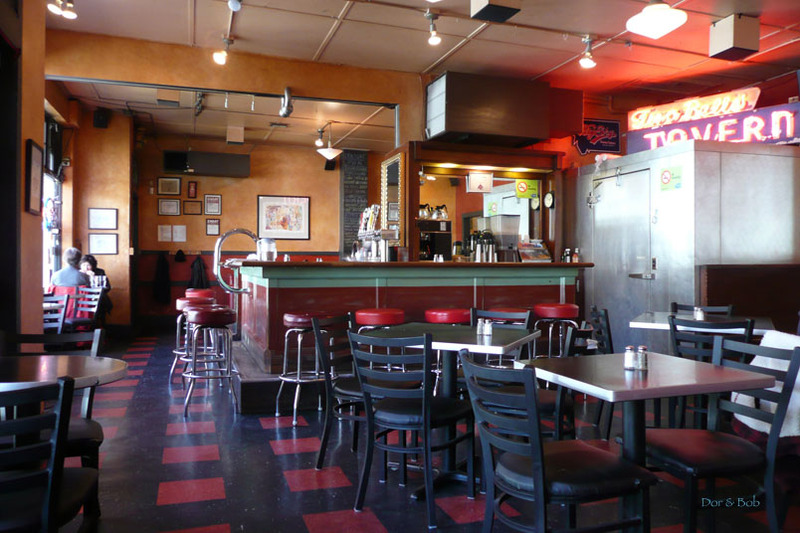 On the left is a long horseshoe shaped bar with 50â€™s-style red leatherette and chrome stools along a narrow corridor. On the right the bar extends into a decent sized room filled with black tables with aluminum trim around the edges, keeping with the style of the pub. 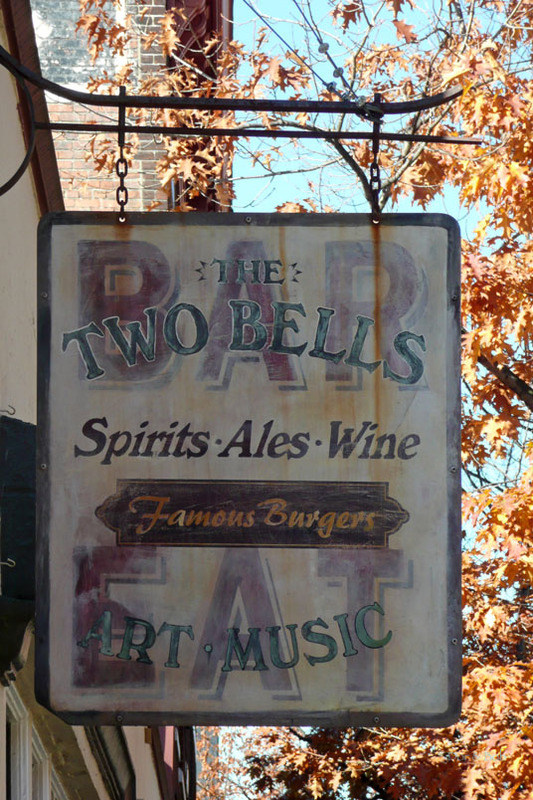 A bright neon â€œTwo Bells Tavernâ€ (perhaps the original sign before the make-over?) sign lights up the back corner of this room. 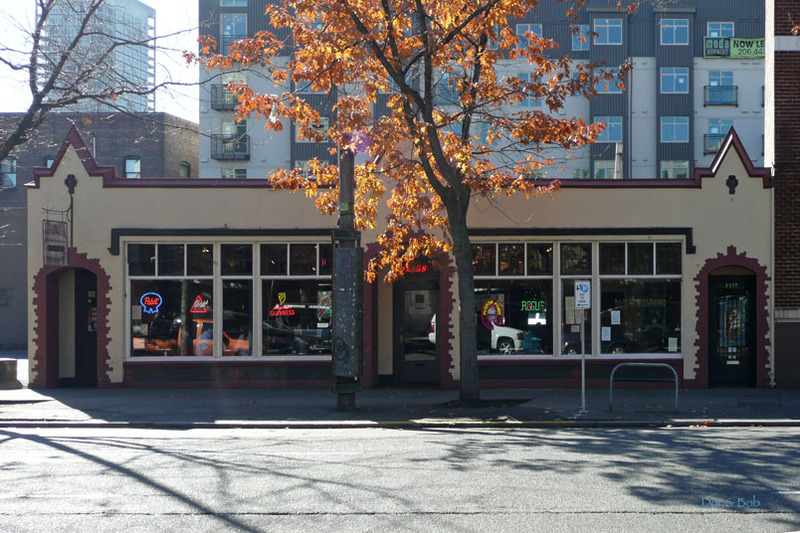 Overall, the space is bright with windows all along the street side. Black and red linoleum-type squares cover the floor and the walls are yellow. 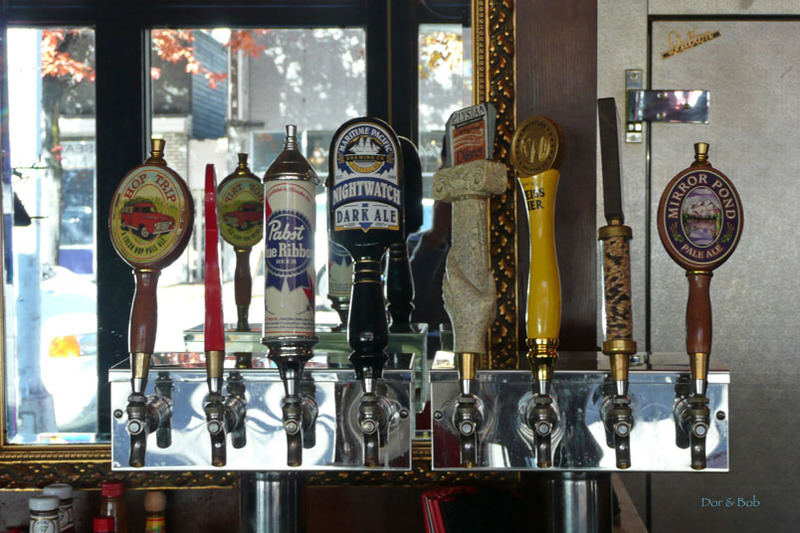 The beer selection isn't the best in the world, but each beer is well chosen, so it's not hard to find something you'll enjoy. The food is straightforward well-made burgers and sandwiches.